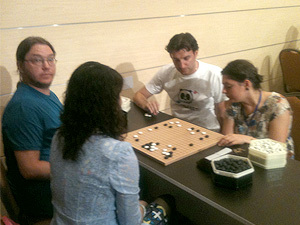 The 58th European Go Congress (EGC) was held in Sibiu, Romania from July26th till August 9th. With 6 wins and 4 losses scored in the main event I tied for 12th place which was quite a decent result regarding the strong field of the tournament won by Yulin Tong 4p of China. 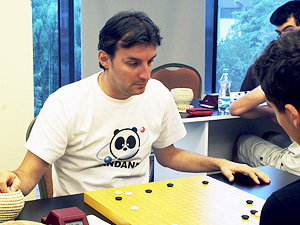 Another big side event during EGC was the Pair-Go Championship sponsored by World Pair Go Association and Japan Pair Go Association and gathered about 90 pairs who played in 2 groups, the even and handicap blocks. 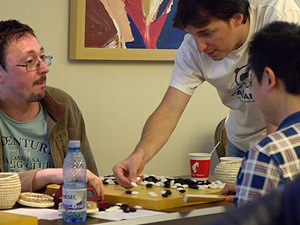 Playing EGC is not all about Go competition but also a good opportunity to make friends all over the world and have a good time in front of the goban or having a drink and a good chat to forget about the tournament pressure. In hope for better results at EGC 2015 next year in Liberec, Cz Republic I am going to train harder replaying pro games and of course playing rated games on IGS-Pandanet.